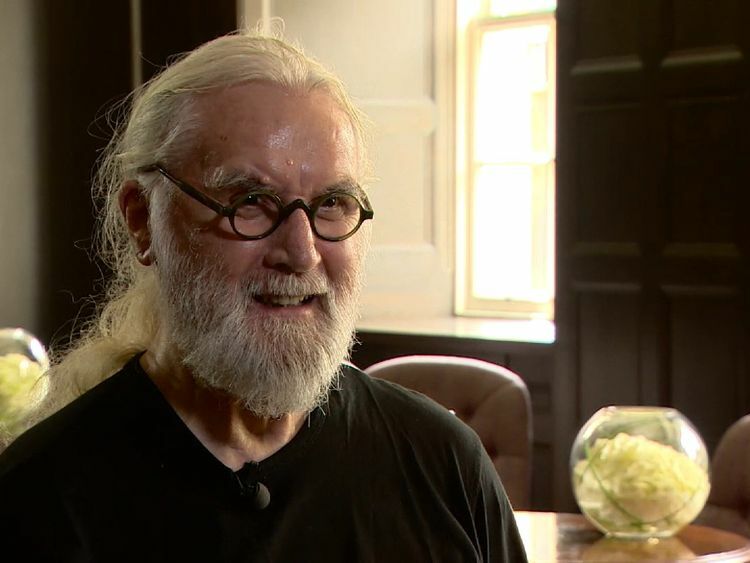 Comedian Sir Billy Connolly has said he is happy with being a part of the establishment after being knighted. The 75-year-old Scottish actor admitted it was "kind of weird" to receive the honour. Sir Billy was knighted by Prince Charles for services to entertainment and charity during a ceremony at Buckingham Palace.He said he first saw "Sir Billy" written in a newspaper in Scotland, and it "took [his] breath away".Speaking after the ceremony, the British comedian and actor, who announced in 2013 that he had Parkinson's disease, said the condition means he has to adapt the way he approaches things now. "Today for instance my main worry was when I knelt down to get the sword would I get back up? And then I saw there was a handle on the stool and I thought 'Oh great. '," he said. "But that would never have crossed my mind before. It's kind of ... making sure my hands don't shake when I'm in a peculiar position. "The Glasgow-born star, who is famous for his razor-sharp stand-up comedy performances, said he is now happy to be a part of the establishment. "I'm very comfortable with it. The counterculture thing is kind of wearing," he said. "It's not the shock I thought it might have been."